Buy 52 or more for $10.44 each. Genuine and wholesome spirituality. This is the goal of all Christian living. It sounds so simple, doesn't it? Perhaps the principle may be, but living by the principle is another matter altogether. 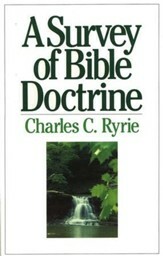 Ryrie reminds you that "the Bible must be the guide and test for all our experiences in the spiritual life...and if any experience fails to pass the test, it must be discarded." He warns that "an unbalanced application of the doctrines related to spirituality will result in an unbalanced Christian life." Ryrie examines key issues of spirituality, including sanctification, temptation, routine faithfulness and using your gifts. Genuine and wholesome spirituality is the goal of all Christian living. It sounds so simple, doesn't it? Perhaps the principle may be, but living by the principle is another matter altogether. 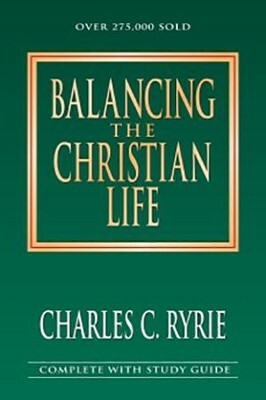 In Balancing the Christian Life, Charles Ryrie reminds you that "the Bible must be the guide and test for all our experiences in the spiritual life... and if any experience fails to pass that test, it must be discarded." 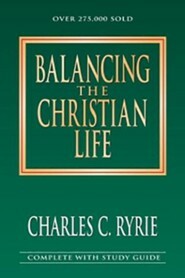 He warns that "an unbalanced application of the doctrines related to spirituality will result in an unbalanced Christian life." For more than 40 years, Balancing the Christian Life has been changing lives worldwide. 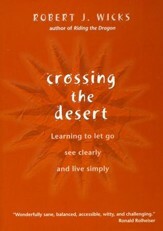 Take time to read this classic study and allow it to change yours. Includes a 32-page study guide. 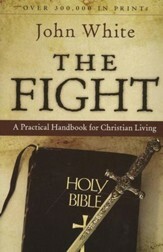 I'm the author/artist and I want to review Balancing the Christian Life.